Elastomer solvent-based bituminous liquid waterproofing, root-stop Dermarubber S/P, is a highly elastic waterproofing liquid (1000%) with an advanced formulation using bitumen in a solution of elastomerised special molecules. 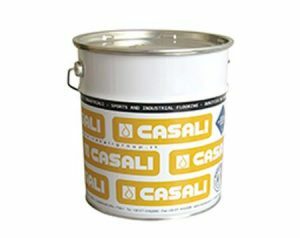 The product contains a unique root-stop additive that protects the structure from plants, and is the perfect choice for waterproofing planter boxes, roof gardens, foundations and retaining walls. Dermarubber S/P is also used to repair old and damaged bituminous membranes. When treating cracks on the deck, perimeter and expansion joints, connection areas between different materials or construction joints, we strongly recommend the use of Acryfelt Band (elastic reinforcement bands). Dermarubber S/P should be protected from ultraviolet radiation with protection board and or drainage cell, such as Elmich VersiDrain® 8 Geo. Area’s of Use: CELLARS, BASEMENTS, PLANTER BOXES, EARTH CONTAINING STRUCTURES AND RETAINING WALLS.